Possessed is a legendary US thrash band and they used a term death metal(a title of their song) for the first time which is recognizable today as a genre, However, I never confuse them as death metal band. For me, this is brutal thrash with very Mille Petrozza style of singing. Music wise, all their early mini and full albums are crossover of Kreator releases like Pleasure To Kill, Out Of The Dark and Terrible Certainty. This is how I always look at this band from my perspective but for sure, I appreciate most of their own efforts like Beyond the Gates, The Eyes of Horror and Seven Churches which are considered as classics of the genre. Seven Churches from 1985 is a subject to this tribute and is covered by 11 bands that perform the album entirely. The album is released by Russian labels More Hate Productions/Satanath and you won`t be disappointed when you hear it. The bands that pay tribute to Possessed are located over Europe but mostly on East side. This is very good selection of bands with different background but still extreme approach. Sound of the songs is professional and all bands do their parts with great devotion which turned out with pretty hellish and relentless tracks. I admire them with very free interpretations of original versions of the songs. The sounds to it is raw and uncompromising but keeps modern values in most cases. This is more likely death metal tribute in general but if you mind Possessed as a thrash band then some tracks could sound black thrash or blackened death metal depends from the band and your personal taste. The album catch diabolical 80`s dirty metal feeling with their songs pretty well and I can`t think about anything more indulging than that. 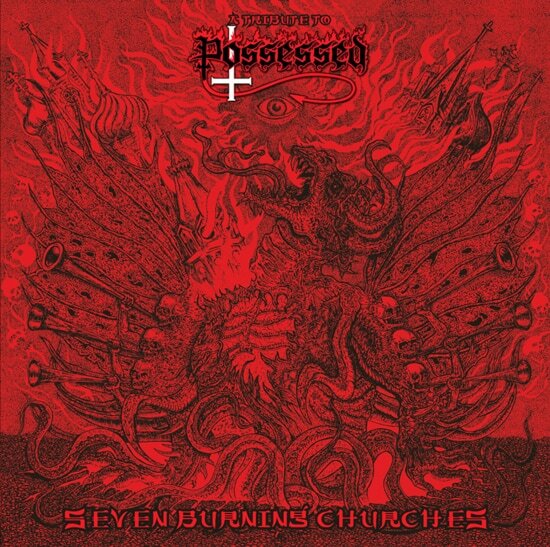 I have no knowledge about other tributes to Possessed but I think this one is most representative for the band itself. All hordes that contribute to this album do such onslaught with songs from Seven Churches that my honest and highest appreciations go to all of them without hesitation. Courtesy of Dead Center Production, Monarch has been streaming this album few months back. I do not know about now but it`s still might be available for play with full tracks. You can try your luck visiting this page.